Day #3: Only in Wisconsin, New Glarus Brewing Co.
You know how when you’re traveling you graze on all this food that normally isn’t allowed near your lips? Like jalapeño poppers, cheese curds and chocolate fudge (not necessarily together, although it does sound intriguing). Now add beer to that. 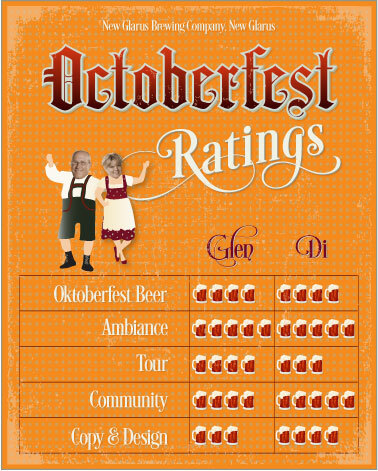 That’s been my husband and me as we roam the countryside on our Octoberfest Beer Tour. 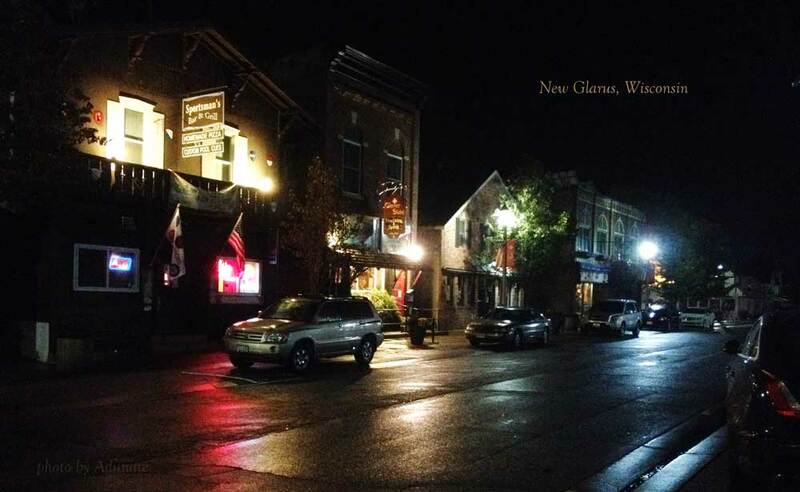 So Sunday evening after settling into the Chalet Handhaus in New Glarus, we took a walk through town, rain and all. The next morning we walked to Kristi’s Restaurant for a delicious and healthy breakfast. 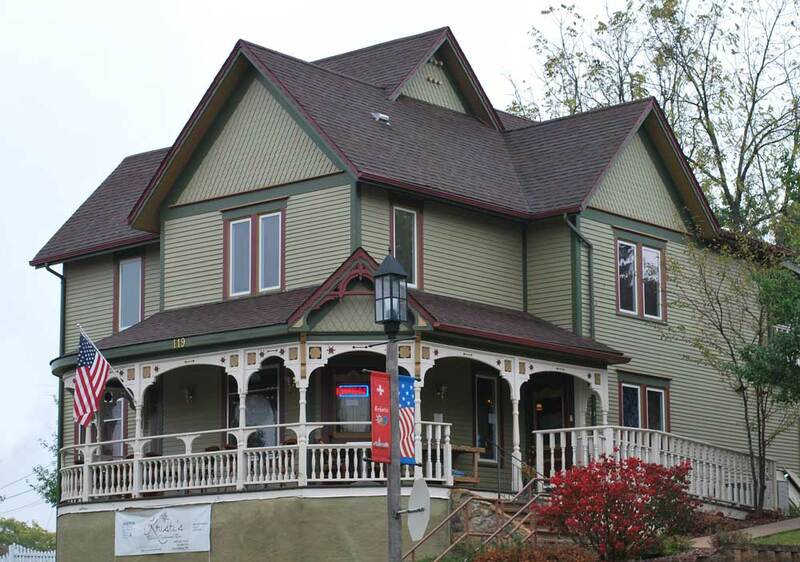 Don’t you just love this classic Victorian? It looks lovely inside, as well. 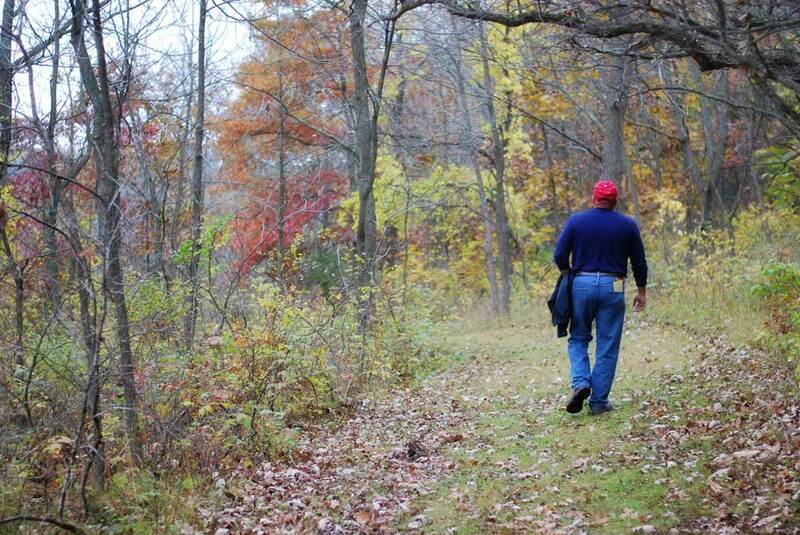 And we hiked for miles and miles through New Glarus Woods State Park. Then we headed to New Glarus Brewing Company for beer. 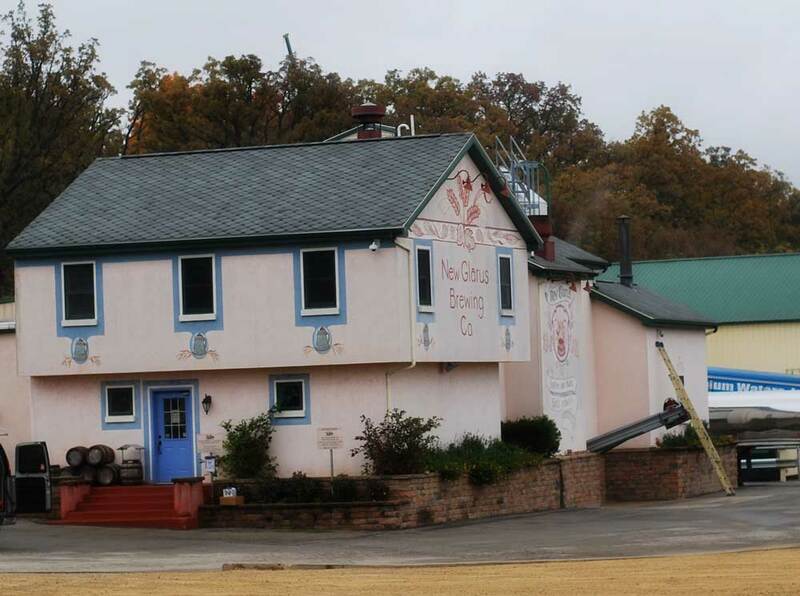 When we toured New Glarus seven years ago, the magic all happened in this little, Swiss-styled brewery and warehouse. 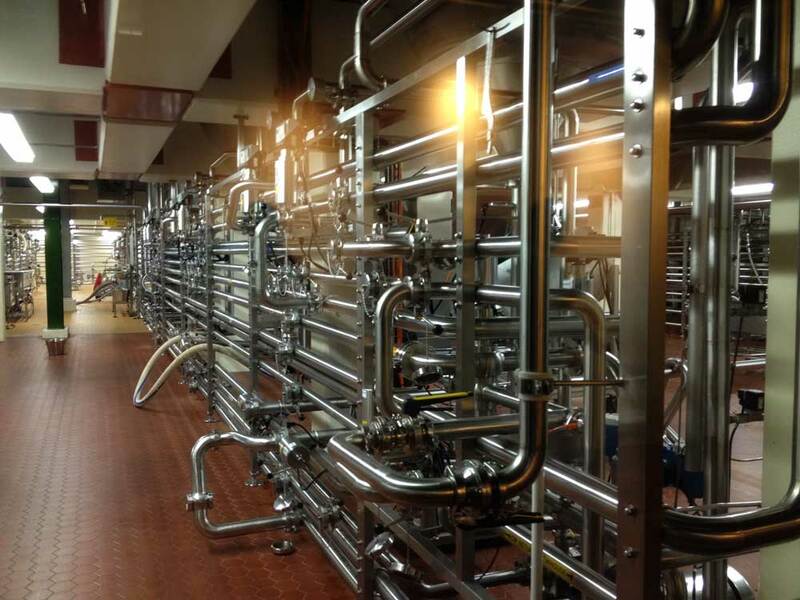 In 2008, it opened its Hillside Brewery and made the first batch of what’s now Wisconsin’s favorite beer, Spotted Cow. 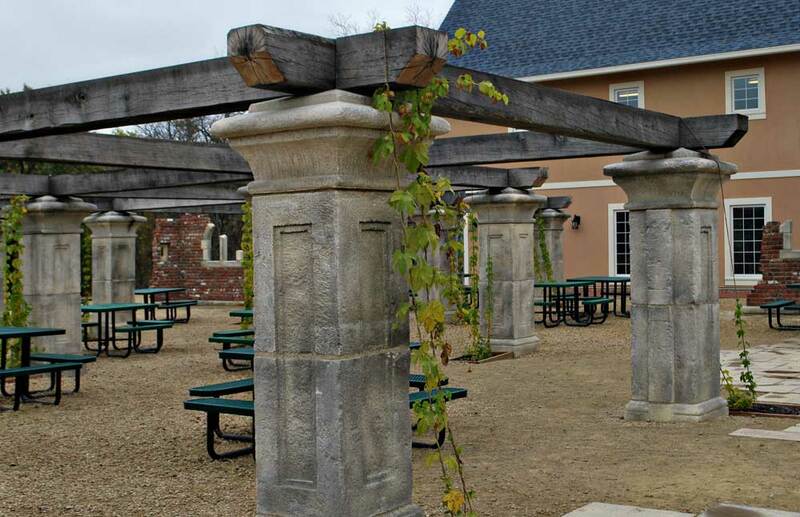 Check out this outdoor beer garden, filled with hop-clinging columns and hillside vignettes. …That of brewing, bottling and packaging. Which results in this! 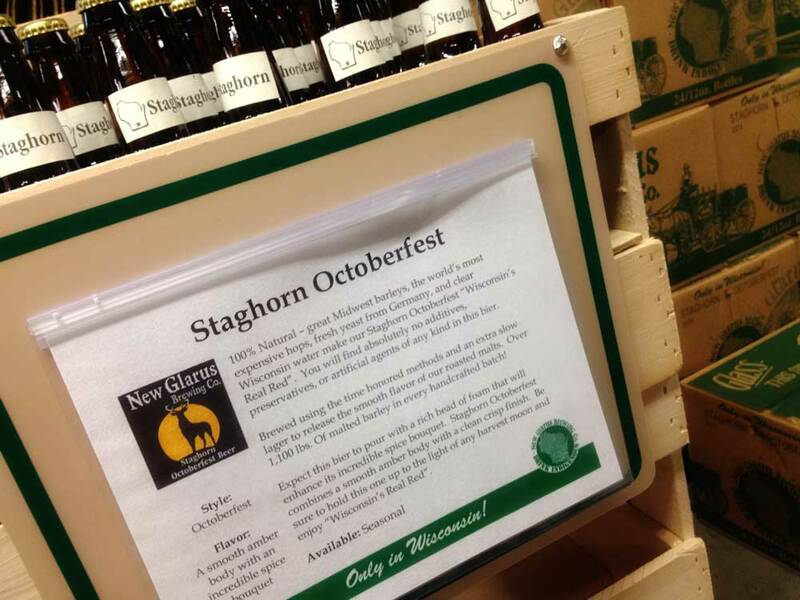 In 2012, New Glarus turned out over 127,000 barrels of Staghorn Octoberfest and other beers. 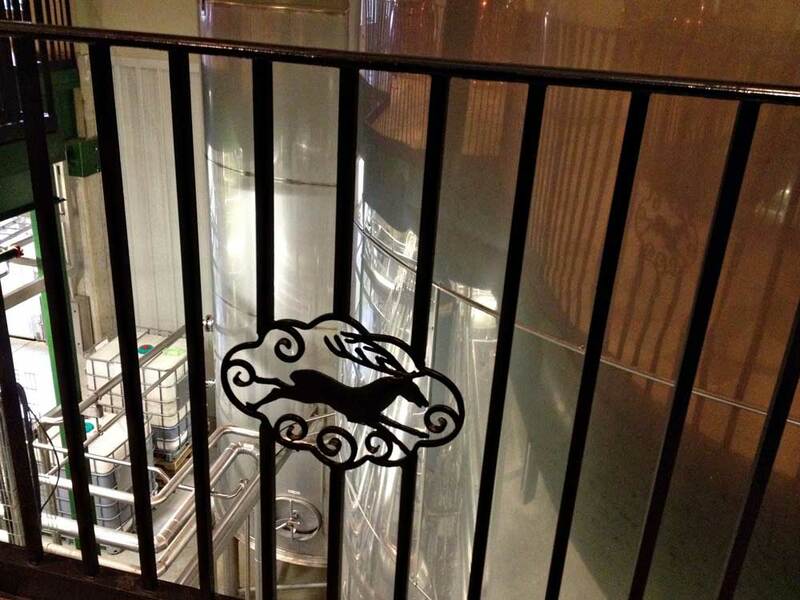 Last year, while touring a Cape May, N.J., craft brewery, we mentioned we were from Wisconsin. What do you think was the immediate response from anyone who knew beer? 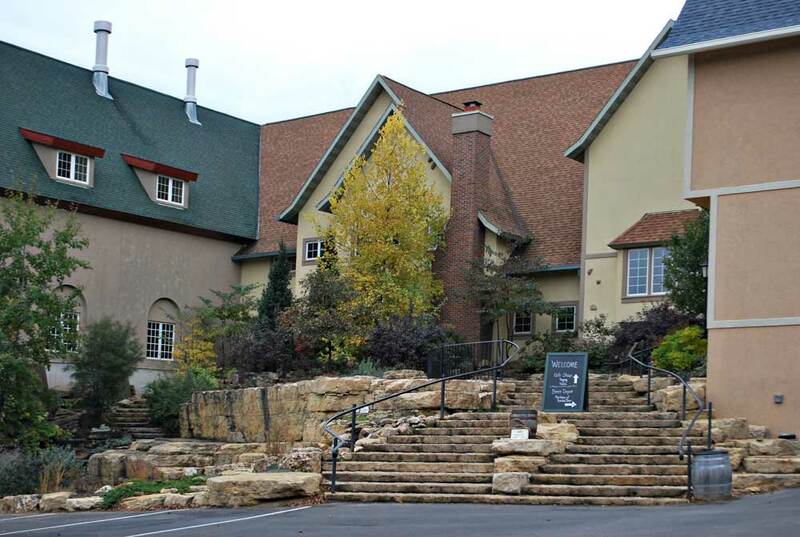 New Glarus Brewing Company! 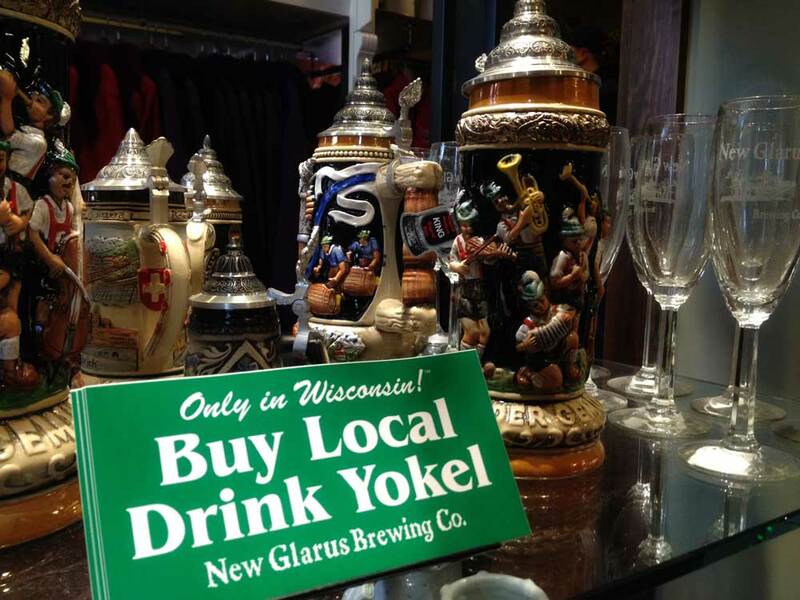 Interestingly, New Glarus sells its product exclusively in Wisconsin. This brings a marketing mystique to the ale that has out-of-staters thirsting for more. Definitely impressive and a brewery to tour. I’d love to come on a warmer, dryer day and sip beer outside in the gardens. 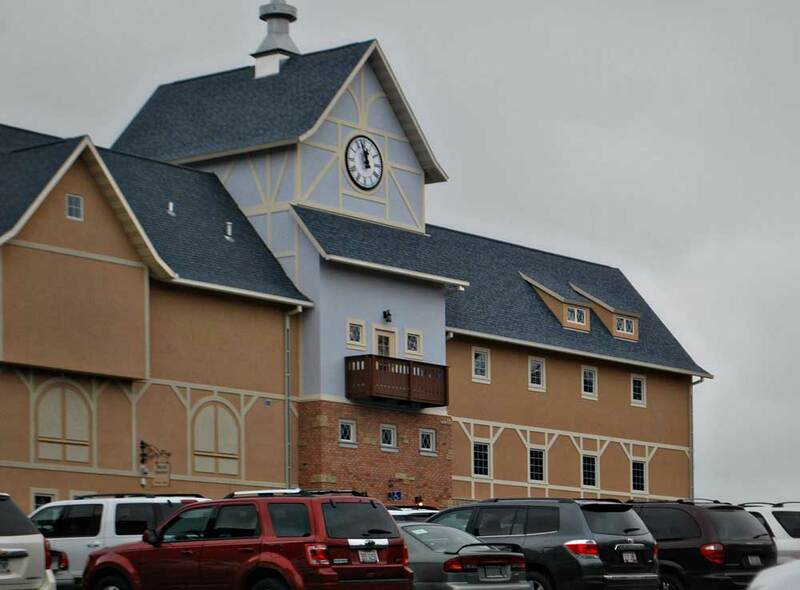 New Glarus offers two tours: A daily, free Self-guided Tour and a weekly, $20 Hard Hat Tour. The Hard Hat Tour is consistently booked so we took the self-guided tour. It was fun, but we had so many questions and would have really appreciated some narrative. Maybe just a set of headphones? 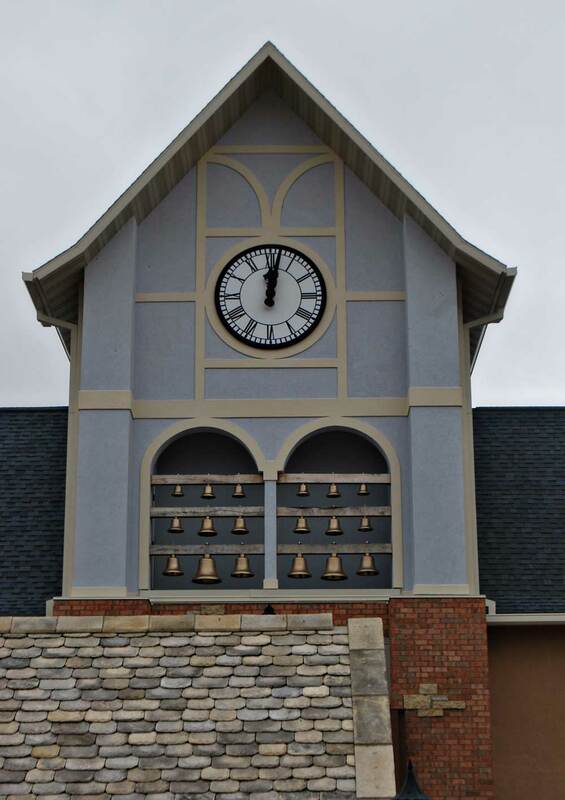 The town of New Glarus is known as America’s Little Switzerland. Everything is Swiss! 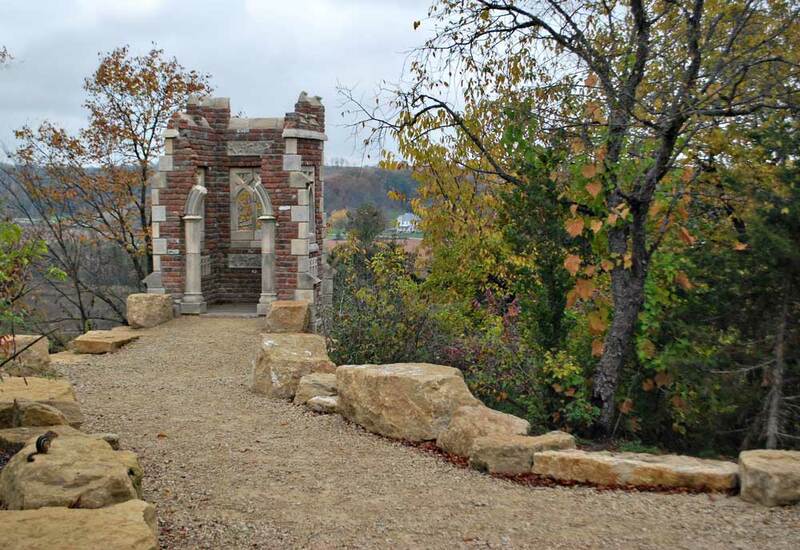 It’s a small town with a couple days’ worth of entertainment for all ages. We stayed in the Chalet Landhaus, which was just off the bike trail. Nice!